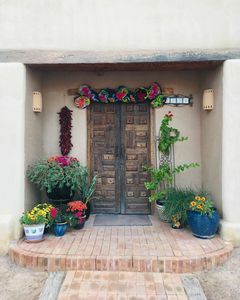 Beautiful, private casita one block from the plaza. 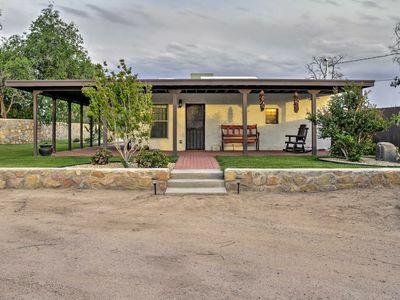 Historic charm with modern conveniences. Perfect for quiet retreat. 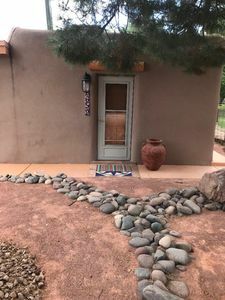 Fenced flagstone patio in back yard fully equipped with gas grill, outdoor fireplace, outdoor dining area and french doors opening from the house. Large front yard fully enclosed. Full front porch creates shade for rocking chair. 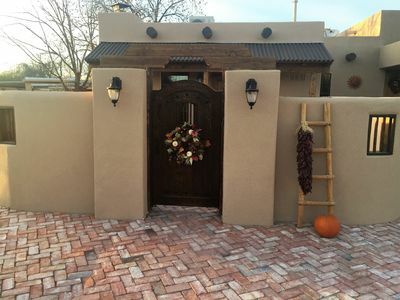 This house is peaceful but just steps from the fiestas and activities on the historical Mesilla Plaza. Shops and restaurants, an independent film theatre and a bookstore within two blocks. Boutique wine bar with a lovely shaded patio and live music less than a block away. The house is fully equipped with all amenities including everything for the discriminating chef. Air conditioned for summer comfort. 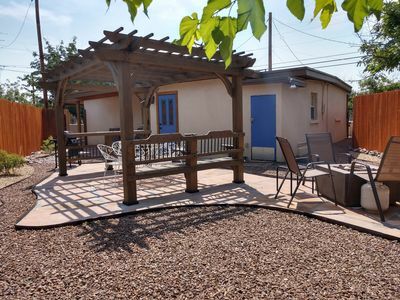 *After taking some time to long term rent this Property, we are back to vacation rentals! 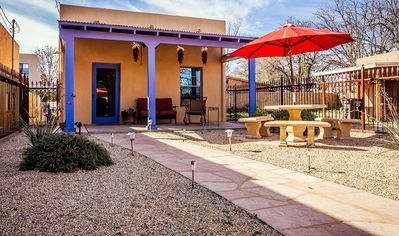 Keywords: Beautifully tranquil and private adobe just a block from the historic Mesilla Plaza.